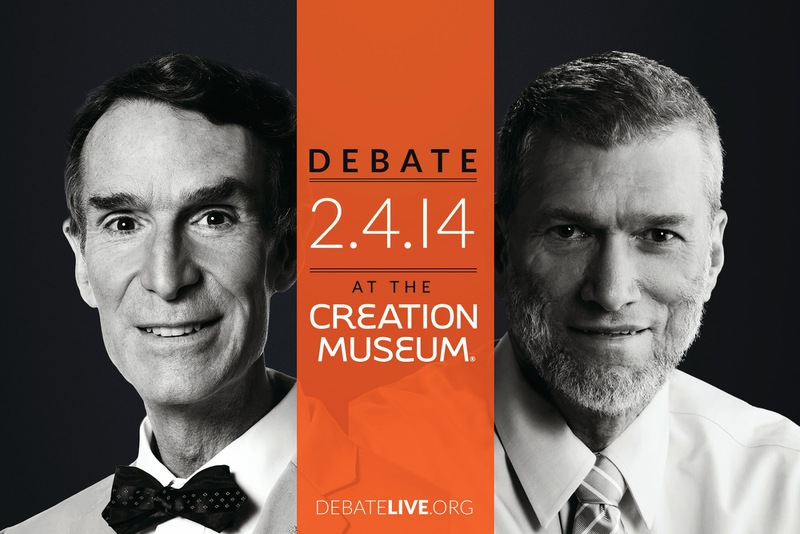 Were you aware that on February 4th Bill Nye "the science guy" has agreed to debate Ken Ham, the founder and CEO of Answers in Genesis and the Creation Museum? I have heard statements from Bill Nye and I am amazed that he has no idea who or what he is even debating. He seems to be under the impression that creationists don't "believe in science." That, however, couldn't be further from the truth. It will be interesting to see who actually uses more scientific evidence during the debate. You can watch this debate live online for free. It will also be available on YouTube shortly after it has aired live. They are not sure how long that will last so if you can't watch live, tune in soon. A few days after the debate digital downloads and DVD copies will be available for purchase. They can also be pre-ordered now. Be sure to check out debatelive.org for more details.